Not all purchases are going to be great – and even great ones don’t always get the wear they deserve. Part of what it means to find your own sense of personal style is being willing to experiment. It can take ten purchases to find that one thing you truly wear on a day-to-day basis, which naturally means the rest of your wardrobe can go untouched. 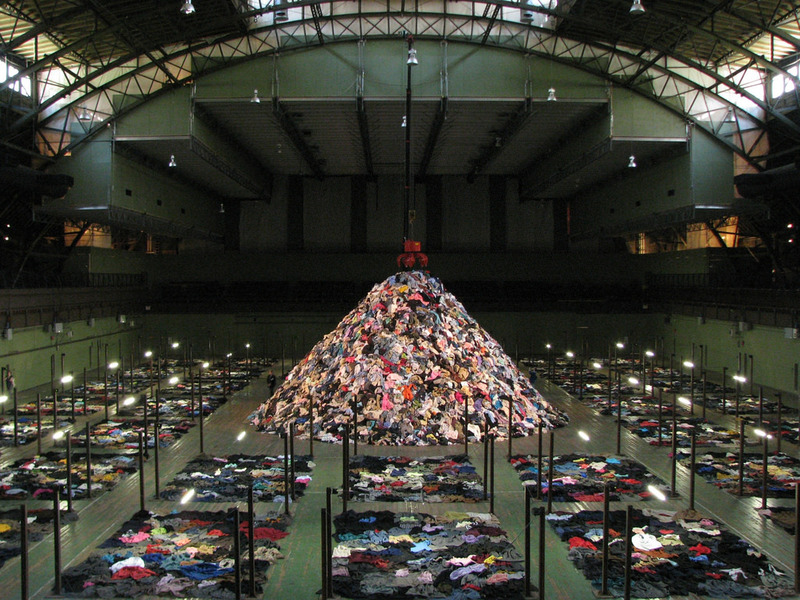 So, what to do with your unwanted clothes? You can always donate them, but if the item is particularly high-end, you may want to recoup your cost. 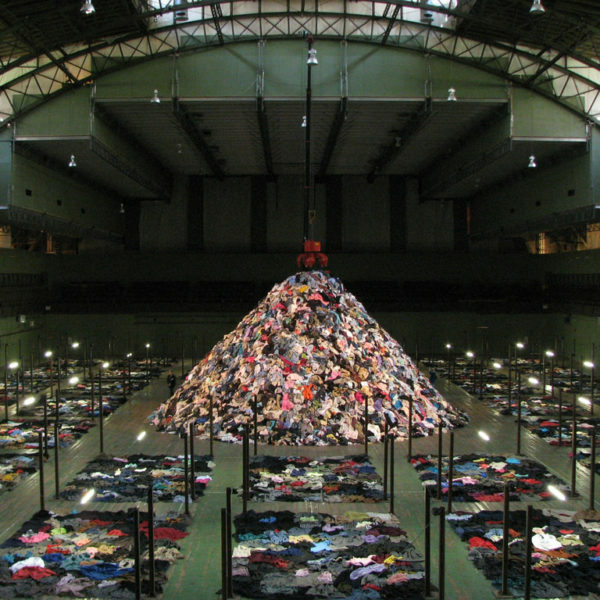 The good news is that there are a ton of sites nowadays that can help you clean out your wardrobe. And with reasonably good resale prices, there’s some insurance against your missteps. Here we’ve profiled some of the most popular avenues for reselling clothes – with pros, cons, and price comparisons for each so you can find the one that’s best for you. Listing things on eBay can be a pain, yet eBay is still the most straightforward way to offload your clothes. 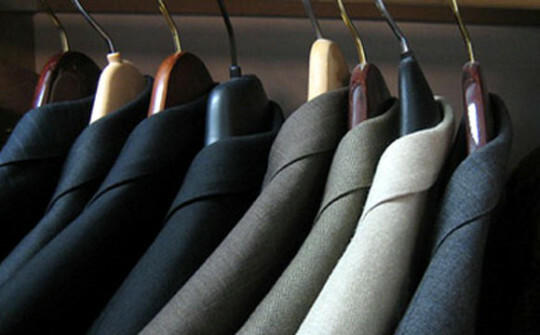 If you’d like a little help with the process, consigners such as LuxeSwap and Tailored Consignment are great resources. The process is pretty simple: you ship them your clothes and they do all the hard work of making a sale – photographing your items, taking measurements, putting up the listing, fielding questions, and doing order fulfillment. And at the end of it, they cut you a big fat check. Both stores specialize in classic men’s clothing, but your items have to be reasonably high-end (don’t bother shipping them your Old Navy chinos). Where they differ is how they list things. LuxeSwap mostly goes with straightaway ten-day auctions, which ensures that your item will sell at the end of the process. Tailored Consignment likes to set minimum prices through eBay’s Buy It Now option. It can take a little longer to get rid of something, but you can also be guaranteed a price. LuxeSwap also has a physical store in New York, along with a very active thread on StyleForum, which exposes your items to a wider audience. Tailored Consignment doesn’t have a physical shop or StyleForum thread, but they’ve streamlined the selling process with their pre-paid shipping labels, which makes sending in things a bit easier. Both sellers, however, make you responsible for all their fees in the end, so you’re paying for all the associated costs either way. Pros: Outside of just shipping everything to these sellers, you don’t have to do any of the work of cleaning out your closet. 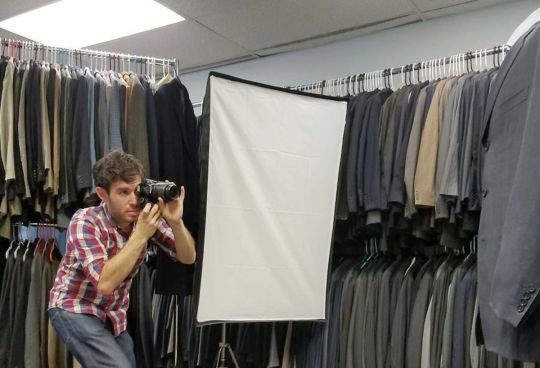 They’d also do a better job at things such as photographing your items, which in the end can result in a higher sale price. Cons: You’ll be responsible for all the consignment fees in the end, including anything associated with eBay, Paypal, and shipping. You’ll also have to split profits. Cost: After all is said and done, expect to take home about 50-60% of the sale price. Traditionally, online trading has mostly taken place through their appropriate forums, such as StyleForum, Denimbro, and Superfuture. StyleForum’s marketplace is mostly defined by classic menswear; Denimbro focuses on denim and workwear; and Superfuture is about designer goods and niche streetwear (although there’s a lot of overlap between the forums). The forum owners mostly leave the marketplaces alone and let users hash things out themselves, which both has its upsides and downsides. The upside is that there are zero fees; you get 100% of the sale price minus whatever Paypal takes. The downsides are that the marketplaces are clunky, hard to navigate, and don’t offer that much protection outside of what you’d get through Paypal. 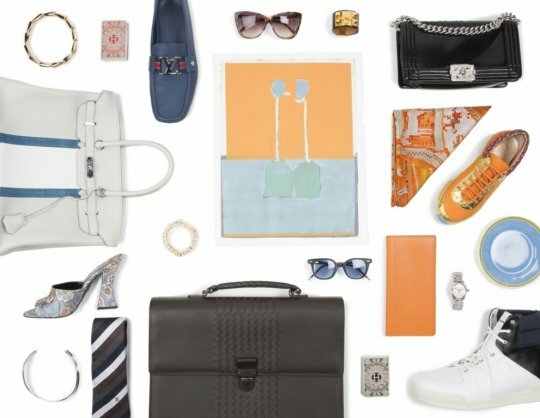 Styleforum’s sellers often complain it’s a bit cumbersome to list multiple items; buyers say it’s impossible to find things without good search filters. The combination of the two has left many of these marketplaces a lot less vibrant than they were five or ten years ago. Pros: No listing fees. You also get access to the same online communities that share your interest and taste, which can make it easier to find the right buyer for certain things. Cons: Clunky to use, cumbersome, and not very user-friendly. No protection outside of Paypal, but also a reasonably good vetting system if you’ve been on these communities for a while and know the people there. Cost: 0%, but potentially a lot of time bumping your listing so they get to the top of what’s essentially a fashion equivalent of Craigslist. 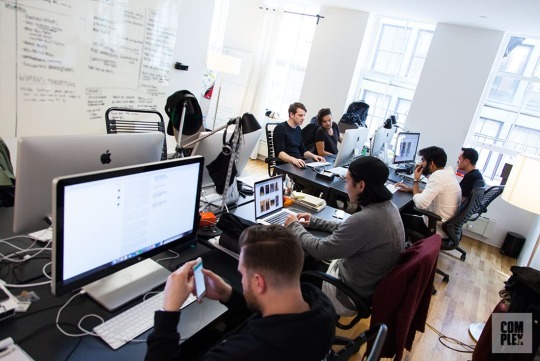 Grailed is a relatively new company, but they’ve become one of the most popular online trading sites for fashion. The user-driven site allows you to easily hone-in on what you want to see, while also making it easy to serendipitously stumble upon interesting finds. That smart interface has attracted both buyers and sellers alike. Think of Grailed as being easier-to-use than forum marketplaces, but considerably more curated than eBay (which, as a seller, helps you find that right buyer for a jacket that maybe only a few people in the world would appreciate). Pros: Whether you’re a buyer or a seller, you’re more protected here than venturing out into the unknown on sites such as StyleForum. Grailed mostly defers to Paypal’s protection policy, but they’ll also look at things on a case-by-case basis if you feel you’ve been wronged by a judgment. They’re also one of the largest online communities for niche fashion enthusiasts, which makes it easier to find the right buyer (and the right price) for almost anything you’re trying to sell. You’ll pay less money here than you would listing things on eBay, and likely spend less time trying to make a sale than you would on the forums. Cons: Many sellers complain about the low-ball culture at Grailed, although the management team recently instituted a policy where buyers can’t submit offers lower than 70% of the asking price. The site also mainly caters to a younger audience. There’s “Core,” which is for brands such as Nike and J. Crew; “Hype” for cult streetwear labels such as Palace and Supreme; then “Grails” for all the things the site was originally built around. You can still find buyers here for your Aldens and Barbours, but the market can be a bit thin for things such as worsted Kiton suits and seven-fold Sam Hober ties. (Although Grailed tells me they’re hoping to change that soon). Cost: 6% of your sale price goes to Grailed, on top of whatever you’d normally pay to Paypal for using their service. You may also have to markdown every once in a while to get your listing bumped up to the top of search pages. The selling process here can require some management, although the search system also makes it a lot easier for buyers to find your listings. The Real Real is mostly for womenswear, where counterfeiting is a much more serious issue, although it also has a section for menswear. 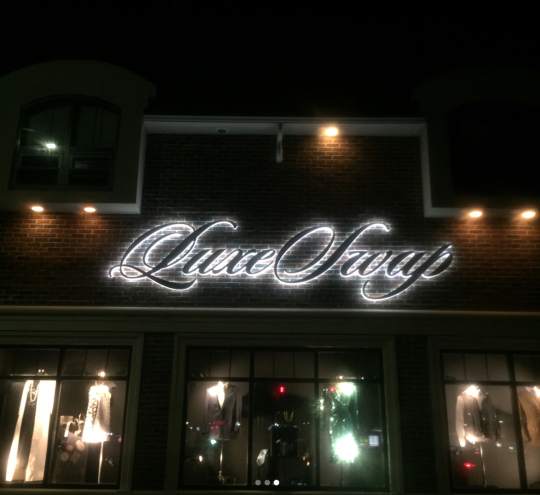 This is a particularly good shop if you need some authentication for often counterfeited, luxury items from brands such as Hermes or Louis Vuitton. Much like LuxeSwap and Tailored Consignment, The Real Real also does all the work for you. They do authentication, photograph your items, take measurements, and execute the order fulfillment. They also have a free pick-up service in twenty-one cities, making the process of cleaning out your closet just a bit easier. Pros: By having experts at The Real Real authenticate your items, you’ll likely get a better price. They also have a very active following of buyers, which The Real Real keeps up-to-date with emails and special promotions. Cons: The Real Real mostly deals with a narrow range of luxury goods, although they’ve expanded over the years to include niche menswear lines. Their size descriptions are awful, however, and their photography isn’t that great. Presentation could be a lot better. Cost: Varies, but you can expect to take home up to 70% of the sale price. Leffot is a pioneer in high-end footwear retail, with physical stores in New York City and Chicago, as well as a devoted online audience. Recently, they opened their new Pre-Owned program, which is a small section on their site dedicated to gently-used shoes. They buy those shoes from customers and sell them to people looking for good deals. There are some conditions. 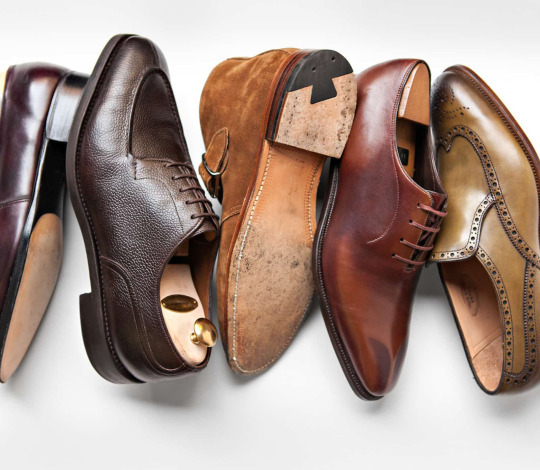 The shoes have to be made by one of their brands – Alden, Corthay, Edward Green, Gaziano & Girling, John Lobb, Norman Vilalta, Quoddy, Saint Crispin’s, and Wolverine. They also won’t take sneakers, shoes that have been recrafted by anyone except the original maker, or shoes that have been overly worn. That said, if your item qualifies, this can be a great way to get rid of your gently used footwear with no hassle. Pros: This isn’t like the other programs listed above. Leffot buys your shoes straight off you, which they then handle as their own stock. That means you get your money upfront without having to worry about consignment services or end-of-auction sale prices. Cons: Compared to other things in your closet, shoes aren’t that hard to list. You don’t have to take measurements, they often fit into flat-rate USPS boxes, and they don’t take much room in your closet should you have to wait months to find a buyer. Relative to things such as suits and heavy outerwear, it can be easier to venture into sites such as Grailed or eBay for footwear. Price: Varies. Again, Leffot is buying your shoes as part of their stock, so they’ll make you an offer depending on what you’re trying to sell. To get a quote, just email them a photo of your shoes along with a note. The people there are friendly and happy to work with you. Marrkt started a few years ago as an online site for off-season items and sample sales, but they’ve since morphed into a consignment store for second-hand goods. 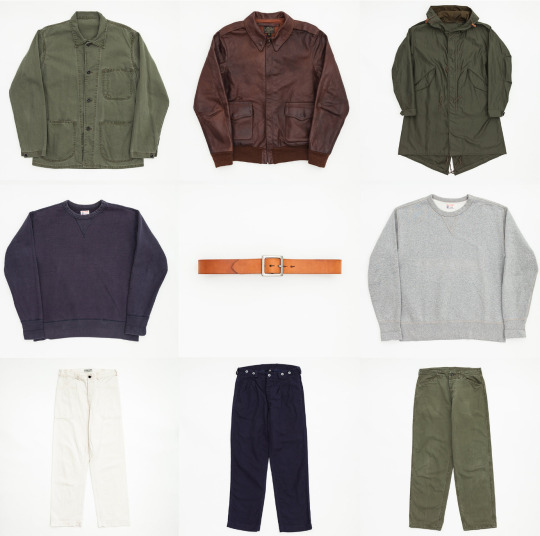 They’re a sister site to Superdenim, which specializes in premiere workwear brands such as Nigel Cabourn, Engineered Garments, and The Real McCoys. And while Marrkt doesn’t have as strict of a brand list as Leffot, the site still mostly specializes in the kind of rugged workwear you’d find in their main shop. The consignment process here is simple. Marrkt picks up your goods for free via courier (even if you’re in the US and have to send things to their location in the UK). They then assess the condition of your items and work with you on an agreed-upon sale price. All items are then photographed in-house to keep a visual consistency (and they shoot great photos). They also keep their dedicated following up-to-date with news, which means like other big consignment stores, you can catch the attention of certain buyers for what may be very niche items. Pros: Again, someone else is doing all the work, and you get to hit a very niche audience. Pretty useful for that WWII-era repro jacket you proxied from Japan. Cons: Like with other consignment shops, you’re splitting the profits. For a really nice jacket, that can be a pretty big chunk of change. Cost: For items up to 500 GBP, Marrkt takes 40% of the final sale price. For anything higher, they take 30%. This includes the cost of collection, Paypal and credit card transaction fees, and anything associated with fulfillment.